I love a pet photoshoot! As part of a recent project to capture a number of different dog breeds, I photographed Charley, beautiful Cocker Spaniel. I’ve photographed Charley before in the studio, so this outdoor session meant some very different images for her owners. 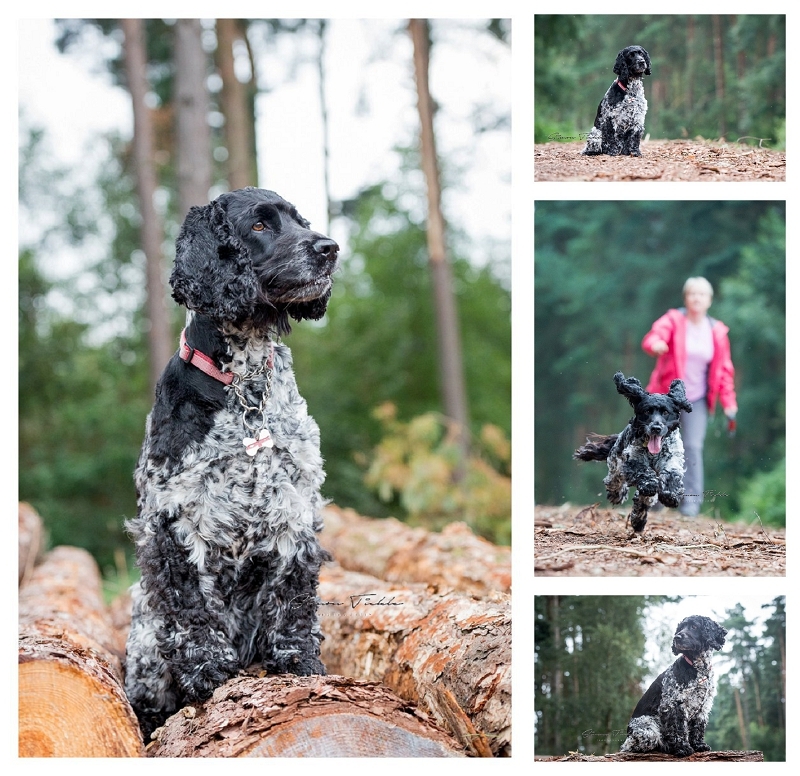 Charley loves to explore, so we headed to her local woods for the session. Luckily, the woodland was under going some thinning back which meant there was plenty of log piles around for us to use as props. Charley didn’t need much encouragement to go climbing and they made for some beautiful portraits.